Hydromatic II Control Board - Micro-Air, Inc. The Hydromatic II is a new and advanced control system for multi-stage marine chillers. 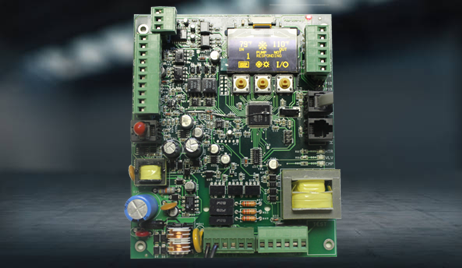 It employs the latest technology with CAN Bus networking capabilities (designed to allow microcontrollers and devices to communicate with each other in applications without a host computer), and offers advanced control with many sensor monitoring options. It can also be configured for use with a color touch screen panel PC, built into a custom control electrical panel with power distribution wiring, circuit breakers, contactors, etc.